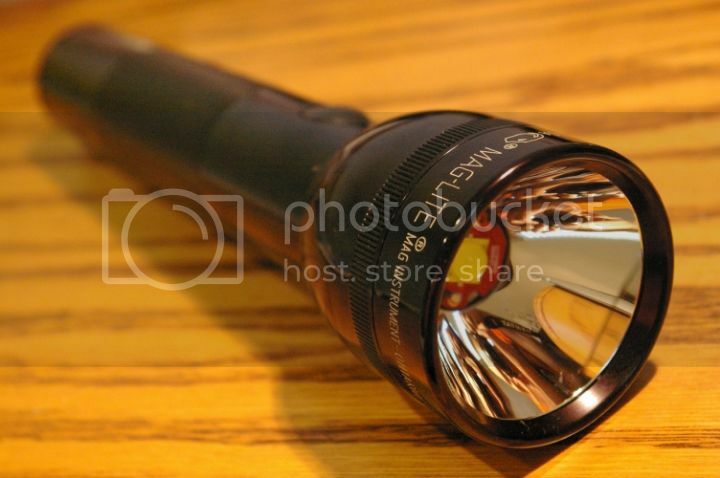 Thread: FS: 1000 Lumen XM-L T6 Maglite Mod With Voltage Monitor - Parts, or Complete Light! FS: 1000 Lumen XM-L/XP-L HI Maglite Mod With Voltage Monitor! Also, check out my 1100 Lumen XP-L HI Rebel Mag Thrower! I've done other Mag mods, including a 100 Watt Halogen Mag 623, some 9 Amp PT-54 builds, and my latest 5000 lumen HID Mag mod. But this XM-L build is still my favorite. It's because it's a serious 'user' build. * Perfect size. Not over driving it, and still very bright at 1000 lumens. Plus having 3 modes, and of course the voltage monitor. All features add up to the perfect combination for a great 'user' light that you will reach for most often! The XM-L will put out an incredible 386 lumens at 1 Amp! (compared to only about 220 lumens for a Q5) That's 75% more output for the same current! * Spectrum battery voltage monitor (optional) Only draws 6mA's current! * XM-L emitter on 14mm round base (XM-L U3 1c) XML-2 U2 available by request as well! It's quite a bit deeper than the standard reflector, and the emitter needs to be 12mm instead of 14mm. It fits fine without the voltage monitor, but for those wanting the voltage monitor, I really don't think there is much room unless I made the heatsink thinner, and that would take away from the heat management. About the beam, yes it does give a little improvement. It was noticeable at short distance. But not so noticeable at 75'. (not to my eye) Maybe a 6 or 7' spot vs an 8' spot with the standard reflctor. I would imagine that at longer distances, like maybe 200', it would throw better. But I did not get out and test farther than my back yard 75' distance. Quite honestly, I was expecting more of a difference than I was able to notice. The stock reflector is really not bad at all in my opinion. The spot, is about 8' wide at 75' when best focused. Then I measured the width of the spill at 9' distance, and it is 17' or 18' wide. * High - 1575mA's... Estimated run time - About 4 hours! * Medium - 525mA's... Estimated run time - 11 hours at about 350 lumens! * Low - 114mA's - Estimated run time - 52 hours! All the links to the parts are shown at the top of this first post for those of you who would like to follow this picture tutorial and DIY! I can sell the heatsink. Or the heatsink with emitter and driver as a drop in module. On high, it is as bright as the 2 cell version above! This makes a great sized Flashlight mod for a single cell, or a laser too! FS: Large Maglite Monster Kits! FlexModP3, Side Button Forward Clicky! * The driver is 8 X AMC7135 chips, but the new V2 driver uses 380mA chips vs 350mA chips normally. The voltage monitor is also an option! Reminder: You could also use a 3D Maglite with this driver. 3 X normal D sized NiMH batteries would be about 10,000mAh's capacity! * High - 3020mA's... Estimated run time - 2 hours! * Medium - 890mA's... Estimated run time - Over 6 hours at about 320 lumens! Last edited by jayrob; 09-06-2018 at 11:22 PM. FS: 1000 Lumen XML-2 Maglite Mod with Voltage Monitor! Received the XM-L light and it's a beauty. Build quality second to none and it throws an amazing amount of light. I am now an absolute fan of your voltage monitor mod, I would suggest everyone thinking of a purchase to add this piece to the order. You will be well pleased. Just wanted to post a quick note about how happy I am with my 2-Cell Maglite build. This thing is simply fantastic. Everything from the beam pattern to the workmanship of the build itself is first rate. I couldn't be any more happy. I see a "Stubby" version in my future! Thanks Jay!!! Maddog checking in here. i just got my light today and all i can say is WOW! Jayrob .... you build one outstanding light! my problem, with all my lights no matter which one i have tried so far had a Max run time of about 40mins. so when i read the thread on this light saying around 3 hours on "HI" with an output of 1,000+ lumens. lets just say i was skeptical to say the least. but with the promise of the ultimate light (well, for me) i had to buy it and give it a go. well, the light came today and upon unpacking it i find it to be well packed and everything in perfect condition. the batteries in the flashlight were fully charged as per Jayrob so i quickly turned it on and BAM! a very nice bright beam of light. i put it up against my ROP (HI) and tho the beam colors were different with my untrained eye. i believe them to be comparable (this is in the day in the house). i'll get a better feel for it tonight in the dark ... hehe. now remember my main problem was run time with high output lights, so the first thing i wanted to do was a run test. so since the batteries were supposed to be fully charged. i wanted to give it a go. i set the light on "HI" and let her rip. after 5mins the light heated up to a nice warm temp. nothing even approaching hot or even a hi-warm and it stayed the same temp (by what i felt) all the way through the test. the test ended after 1 Hour .... yes, 1 hour constant on. i wanted to see how long the light would run with out getting too Hot and about battery life. well, after the 1 hour mark the light was about the same temp as it was at the 5min mark and believe it or not the battery monitor had not dropped below the bright blue, indicating full charge. i also cycled the light a few times waiting a few mins between each turn on just to make sure the monitor was working right. i now have no doubt that this light will run 3 hours on high do to the fact that there are 3 more battery levels before the Red (low) indicator. my thoughts so far .... when you add in the run time and heat management i really can't see any light out there besting this light "If" your looking for a long running high output light. and last anyone who buys this light "HAS" to get it with the battery monitor. this is a must have item. it works just awesome and has a coolness factor of 100.
well, that's it for now and will report back with some real life work outs when i get back to work next week. My stubby is definitely my go-to around the house. The full sized one is for anything away from home where I want the even more extended run time. I had some friends over a couple of weeks ago helping pack/move some heavy stuff and they were blown away by this light. The quality of the build and the throw is ever impressive !!!. And Jay is a great guy all around, speaking as someone who has met the man, the myth, the legend, in person !!! difficult is the XM-L's hot spot is much smaller than the the Hotwires. This light is a real thrower! My only regret is not opting for the battery monitor, a really cool option. Thanks for a fine product jayrob! My kit came yesterday while I was at work,but a child's basketball game came before installing my new toy last night. I had readied my 2D Mag by removing the switch and cutting off the tower, soldering on positive and negative wires,cut the cam off the stock reflector and while I was at it I trimmed the rear of the switch(mine has the spring) to easily accept flat top cells. So I came home tonight,broke out the soldering iron and installed the ready made heatsink,driver and led,dropped in 2x26650's in a 1" pvc sleeve and WOW!!! I compared it to my Magalennium-B running a FM1909 on 3xIMR18650's and I can see the spot of the XM-L inside the FM1909 beam! This is my new house light,the low mode is perfect for most uses,med for when I need to see further and high is Turbo! Jayrob, Thank you,thank you for putting this together, very bright and very useful,I now have the perfect user Mag! I just love this kit,it's the perfect makes the perfect Mag! I got my kit today. This is my favorite Maglite LED upgrade yet. I think I like it better than my VP-1000 and that is saying a bunch. I will know for sure when it gets dark and some real world comparisons can be done. I'm powering it with a 6AA series adapter and seeing 1.6A at the tailcap with Eneloops that have been resting off the charger for about a week. Thanks Jay. This thing rocks!!! ...Overall build quality is standard Jayrob craftsmanship (well built). The host itself is standard maglite, and the internals reassembled by Jayrob. The 3 mode driver is a nice feature although I personally leave it on high. The estimated output is 1000 lumens. ...In order to be somewhat fare to my P7 that I compared, I had to switch the XM-L to a medium mode. That’s the only way this P7 light came close. The throw from the XM-L on high mode, using a stock, smooth maglite reflector exceeded my expectations. My reaction was summed up in one word…wow, followed up with a grin from one ear to the other. The beam is exactly what is pictured in this tutorial. ...Very bright light with outstanding throw, forward clickie 3 mode setting with memory, long run times. If your looking for illumination this is a excellent light for any use. recieved mine today and got it all put together...... Its awesome!!!!!!!! ...awesome product man, keep up the awesome work! I got my jayrob complete light special today,and wow! jayrob you are the man! I already have the jayrob ready made heatsink kit so I knew what to expect with the light output,but with the addition of the battery monitor,it makes the best even better! I opened my package,popped in 2 new 4sevens protected 26650's(which slid in the battery tube perfectly) fired it up and was greeted with a nice blue light just in front of the switch,I don't know what more I can say,3modes of great light output with a battery monitor. No more worry of how much battery power is left,the light in front of the switch says it all. Again jayrob,you are the Man! Now we need to talk about adding light monitors to more of my lights. I received my complete light today - it's super nice. The tint is great, slightly on the warm side for a cool emitter (which I like). Brightness-wise, it's fairly similar to my SST-50-based RRT-3. With the stock reflector, the hotspot is pretty tight - smaller than my SST-50 (MOP) but definitely larger than the Dereelight DBS3 R2. With a KD MOP reflector, the hotspot is slightly larger than the SST-50 but very usable for illuminating anything at medium range. I tried out an aspheric and it had some serious throw. The indicator is great, and sets it apart from any other light I own. ... I am very happy with my purchase. I was about to buy the Thrunite Catapult v2 but then saw this thing and I was sold. ... I definitely recommend getting the indicator if you buy this flashlight. Really handy and it just adds to the great look of the flashlight. I’m very happy I opted for the indicator. Ordered another one per our PMs. ... My favorite LED mod yet for the Maglite. This was my first mod. Received this light a week ago or so. And will post a detailed review when I go urban exploring again. ...amazing !! ill be ordering a green laser and maybe a 3 x d maglight from you in the coming months !! let me know I'll defenitely buy some more. Or even brighter but less run time is fine too. Great build! I received my light a couple weeks ago and it is very impressive. I got a stubby version with the magled reflector so it would throw a little better and jayrob was very helpful and willing to work with what I wanted. I wanted a smaller thrower and wanted to take full advantage of the XM-L so we went with a stubby(1 D) version and a 2.8 amp driver. To make the MagLED reflector work the heatsink needed to be machined a little smaller at the heatsink pedastal. JAYROB was more than willing to work with me on what I wanted and now I am VERY HAPPY!! I have a short mag with a 26650 battery that runs on high just over an hour. I have a neighbor 750 feet from my deck and I can light his house up any time I want with this awesome build. The build time was fast, I had the flashlight at my door step within 1 week of finally deciding what I wanted! JAYROB answered all of my PM's very fast, usually within 4 hours(do you ever sleep?)! I am already thinking of having a 2D version made and would recommend these to anyone who wants a very bright flashlight in a Mag form! I got my 2D wired up and working a week or so ago. very bright and I am using a rebel deep reflector so it throws pretty well. I measured 3.15 amps at the emitter. Great simple mod I really like it. I would like to make a 2x26650 mag C like this. I got my light a few days ago and its awesome! The battery meter adds a nice touch. I received mine with the battery meter about a month ago. Very nice work! Next purchase will be the stubby version! Jay, ....the light is EPIC!!!! 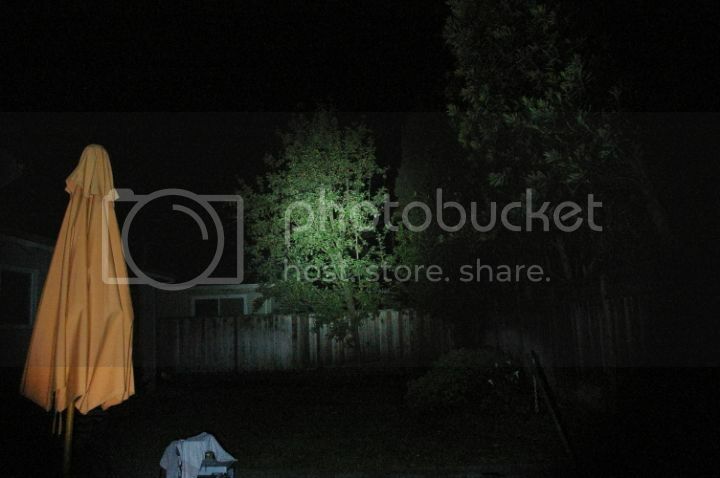 I took it outside that night and it lit my whole street! I could see the end of the court at least 150 yards away!!! I received my dropin and it works great with the Fivemega ThrowMaster head. Almost like they were designed to work together. The head pushes the beam forward giving me bright spill like the Catapult and even better throw. Thanks for making the minor modifications so these two work together. I have the 1k lumen mag up and running and I must say that it works a treat. Fantastic throw and great durability. ...thanks again for a great product and keep up the good work. What can I say...this is a great light! The amount of light that it produces in conjunction with size as well as having a battery monitor is like nothing else out there. I wanted some serious capacity without having to lug around a large light. JayRob does an excellent job of creating these lights and they are worth every penny. ...This one is one great flashlight i was shinning it around in my back yard and my neighbor came out and he thought the police where looking in our yards for something then i showed him it was a maglight and he was stunned then he proceeded to bombard me with tons of questions so maybe i might need another of these for him i will let you know. Sorry it has taken me so long to get back to you on the XM- L T6 Maglite. I took it with me on my Jeep trip to Death Valley and it's capabilities impressed everyone. The first time they saw it was when we were sitting around the campfire and I told them about it and how it had a 1,000 Lumens. No one that I four wheel with knew exactly how bright that was until I turned it on high power and lit up a spot on one of the mountains to the west that was almost a mile away. I then heard alot of oohs and aahs like you get on fourth of July at a fireworks display and a few "Holy Sh-ts" thrown in also. I pointed it at a tent of one of our members that had just gone to bed and he thought that he was being abducted by a UFO, which was good for a laugh. Later the next day we came to an old mine shaft and when the sun is bright you normally cannot see down into the shaft with any kind of Maglite. Your Light however was able to shoot a beam of light all the way to the bottom so we could look for gold or more likely see if an animal had fallen into the hole. The XM- L T6 modified Maglite was a big hit during the rest of the trip, every time we found another mine or mine shaft to explore, I would hear "hey Woody bring your super bright Maglite". I have posted your website info and build pictures on our forum for our members to contact you. Thanks again for a great new piece of equipment. Been using jayrob’s X-ML upgraded maglite for a few weeks now and I must say it’s a great torch. It throws well with a nice beam and has plenty of punch to boot also the voltage monitor is a handy add on as well. The heatsink works well and is machined well, the torch gets warm on high after 5min but it not bad at all. So far I haven’t had to change the batteries when using 32600’s so their worth getting. I received my 2D Rebel build yesterday and 2x 32600s already charged! It took about ten days to ship to the UK and got through Customs no problem. I took it out last night and was super-impressed, a hell of a lot of light, huge throw, huge spill. You can still focus the light by twisting the head, but you just set the spot as tight as possible and leave it, even with a tight spot it illuminates a whole building at 200 meters in a ton of light. Everything a Maglite should have been, luckily we have guys like Jay beavering away in home workshops doing what Maglite should be doing. Jay is a pleasure to deal with, no impatience or being annoyed by questions (I changed my specs after ordering and his attitude was great). 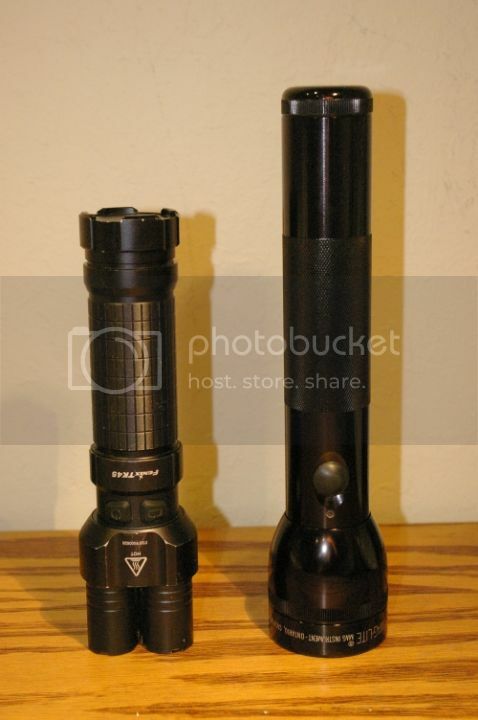 I don't have a similar large flashlight to compare it with but I compared it to my P60 NB XRE-R2 (my favourite flashlight) and the Maglite just blew it away. Great switch with half-clicks to scroll through the three options. And of course it has the very valuable added bonus - three hours run time! I am now considering a red stubby for the wife, but need to replenish the flashlight fund first. Thanks Jay, great guy, great service. well, after using this light for about a month now. i can truly say that this is the best light hands down "IF" you use it for work. the run time for a high power light is second to none. i would say do in part to the 3 mode settings. #1 (low) is good for looking at and doing paper work. #3 (high) is for when you have to see something with a little distance. Thanks again Jayrob .... you build on hell of a light! I am very new to this scene and stumbled across the forum recently and across this thread. I contacted Jayrob and he helped me understand what the terminology meant and what my options were. His replies and updates were very prompt thought the process, from initial contact through shipping. I bought a smoke 2D mag, 4 32600 batts, 1 charger, batt monitor. All arrived in perfect as well as new condition. The batteries arrived charged. The workmanship is perfect. you would not be able to look at the light and tell it is not factory prepared. Of course you would see its different as far as the LED etc, but as far as scratches or fittings etc it is a 10/10. Everything on it looks well thought out and prepared and you cannot see the marks of the creators hand. The light functions perfectly. After a couple of weeks working with it and dropping it mistakenly several times it is still functioning. Having two sets of batteries is great for never having any downtime. Ive run the light on high for extended periods of time with no problems. It gets warm but not hot, not too hot to touch. it just seems to stay gently warm but does not heat up to any point of concern. 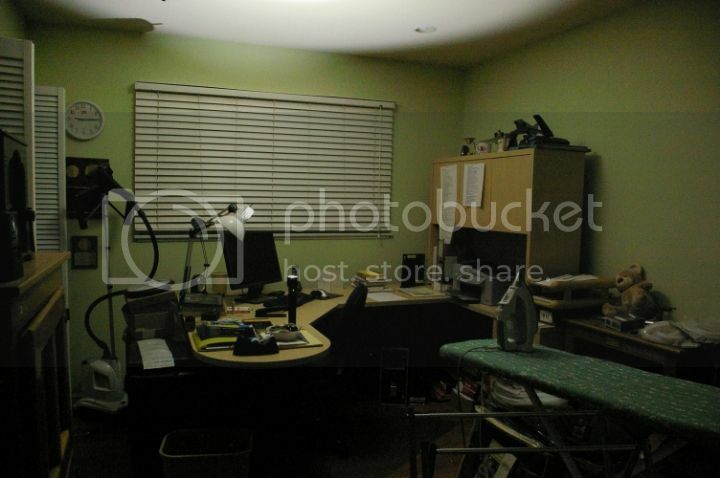 To people on this forum the 1000 lumen rating on the light might be standard but to a layman it is VERY bright. I live in Alabama, and recently we have had a lot of tornado damage and power outages. The light can be turned on high and completely illuminate a pitch black room as if there were an overhead light on. This is wonderful in a blackout situation. On high it turns night into day, from pitch black to easily visible. There are what looks to be about 4 rings of light that I can see coming off of my light. The hot spot in the very center. I bright circle around the hotspot. A very large circle that seems to span about 150 degrees and then a glow of light about 180 degrees. Outside at night or in the woods it illuminates everything in front of the light making it comfortably visible about the entire 180 degrees. If shinning it into the crawlspace under a house the entire space becomes visible requiring much less crawling around in these. And if you are searching through debris or walking through a dark and dangerous area its a godsend. It is a good size and weight and the batteries last a significant amount of time between charges. The battery monitor is superb. It is fantastic being able to see how much power is left in the batteries. Its the first light ive had that late at night outside I can shine the light towards noises in the woods and actually see the deer off in the distance. Its bright enough and it throws long enough distance that it will make all the deer' eyes visible in the woods for a fairly lengthy distance. Also the light is bright enough and if you throw the hot spot directly at someone or somethings eyes, they seem to be completely blinded by it. I would not recommend doing this! I frequently come in contact with a large dog who tends to jump up on me very aggressively. I dont know if some here would say this is cruelty to animals and if so I apologize, but recently when the dog began to run at me I shined the light towards him and as far as I could tell he could no longer see me. I was able to keep the light pointed in his direction and make my way across the yard without him coming toward me. Finish my work and repeat the process to exit the yard and wasnt jumped on or knocked down at all. This has worked for about 2 weeks now. He seems to know im there and will sniff the air and pace left and right but he will not advance into the light, he wont come forward or walk in that direction where he cannot see. So that is an added benefit I had not forseen. Many other people I work with in construction jobs have said it was the brightest light they had ever seen and asked where to buy one. Since it looks identical to a standard Mag everyone assumes it is. The light is very expensive but since it looks standard I have not had anyone attempt to steal it so far off of any construction sites. Coming from using standard lights for work this 2D from Jayrob is beyond any type of comparison with all off the shelf stuff ive used. On low its as bright as almost every light ive used that are rated 200-300 lumens. Work lights from lowes like task force or Nebo etc are about as bright on high as this is on low. Now I carry a small 220 lumen nebo and this 2d jayrob mag. Between those 2 I feel prepared for all situations throughout the day in which I need extra illumination. The reason for the smaller light is just for working in situations where I need to keep my light very low as not to disturb others working nearby. but overall I rate the light 5/5. It is bright and long lasting. It has a spot of light as well as illuminated almost everything in front. It is like having a flood and spot light on simultaneously. I hope to find an aspherical lens that will fit it to really see how for and bright a spot it could throw but have had no luck as of yet. My dealings were great and I plan on purchasing a matching 2D laser mod from jayrob also. So far the only draw back that I have run into in regards to the light is having to search around and find out who is using my lite. It is now the defacto goto light on my work sites. People want to use it now instead of the others in the toolboxes. ... Jayrob, I've had my light for around a month, now and I love it! Everyone is impressed by the workmanship, and blinding brightness. I'm saving my pennies to send you a Mag Charger for the mod too. Thanks again for a great product!!! There are many superlatives to describe your flashlight; awesome, great, outstanding, fine, handsome, functional, graceful, bright, bargain, strong, useful, necessary, and svelte. But, I'll leave you with two words this time; THANK YOU! I received my 2x32650 XM-L light a few weeks ago. Overall I'm very pleased. In this post I'll briefly discuss overall light output. In a subsequent post, I'll have a more detailed observation/comparison of throw (the throw is very good). I don't currently have any light measurement equipment, so my observations on overall output are via ceiling bounce and casual observation. The overall output of the Jayrob XM-L is about the same as my Olight-M31 SST-90 (advertised 800 OTF lumens) and my Malkoff Wildcat 3 x XP-G (advertised 750 OTF lumens). It is noticeably less than my 3x17650 M6 Seraph SST-90 (advertised 1600 lumens, my guess: about 1200 lumens). The Jayrob light is noticably brighter than my Deerelight DBS XM-L (estimating 600 lumens). Regarding efficiency, the Jayrob uses about 12 watts, the Deerelight 11 watts, the Malkoff 10 watts, the Olight 20 watts and the SST-90 28 watts. The efficiency of the Jayrob XM-L is very good. The Olight and SST-90 have thermal/runtime limitations; not the case with the Jayrob solution. I also like the side switch 3 level interface. Easy to use and nice spacing between levels (5%, 30%, 100%). I have one of Jays lights and have to say that it is incredible. I tested it up against my Jetbeam BC-40 (both XM-L lights) and the mag mod trounced it for throw and intensity. I hit a tree with the BC-40 from 200 yards, give or take, and it lit up the tree very well. I then turned the mag mod on it (while leaving the BC-40 on) and it was a noticeable increase in light on the tree and I could make out individual branches better, etc. The spill it larger on the mag (for obvious reasons) but the BC-40 has a slightly more intense spill area. Then again the mag mod has around 3+ hours of runtime on high, which is pretty impressive. Plus there is something satisfying about the weight of the mag. I like my BC-40, and for what I use it for it is great, but the mag is the bomb for lighting up something and extended continuous use. 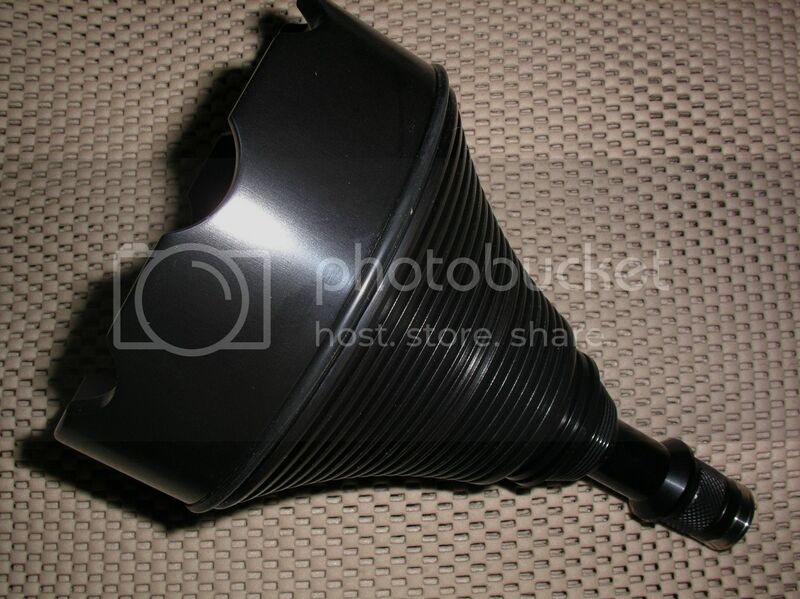 There are alot of positive feeedback posts over on CPF in the custom builders section about this light. I got lucky enough to see the build activity in person , plus owning one myself (and I have a stubby on order from him). Jay Robertson is truly one of the best guys on our forum. I had Jayrob build me one of his excellent XML Mag mods, and the workmanship couldn't be better. I also had to have the tailcap modded after the fact to accomodate the big protected 32650 batteries that arrived from Nova Eproducts after I recieved the light. Less than a week after I dropped the tailcap off at the post office, it was back in my house, and I was lighting up the night with a T6 XML Mag mod driven by protected 32650 cells. Jay's attention to detail is immediately obvious in all his work, but the amazing thing is his communication throughout the entire process. He is extermely prompt at answering all PM's and emails, and patiently answered every question I had along the way. It is truly a pleasure to do business with him! CHEERS JAYROB!!!! Got my stubby from Jay yesterday. It is the perfect balance of size, runtime and power imo. I like the full sized one, but the stubby quickly took its place as my favorite "around the house" light. If i had to go hiking, or camping, etc, and wanted the longer runtime then the full size one is definitely going with me, but for my daily grind around the house and yard the stubby fits the bill. I will try to get some pictures later one. It really fits the hand nicely. Made my 4ys Maelstrom feel puny and underpowered by comparison (that used to be my "around the house light"). I just received my light from jayrob. This is a superb build. His craftsmanship is top notch and very clean & neat. The light has great throw and is super bright. There are very few lights out there that can put out about 1000 lumens for about 2 hours. The voltage monitor is very cool. No need to worry about protected batteries, the multi colored lights tell you what's in your fuel tank. You will not be disappointed with this build. Thanks, Jay. Just received mine a little while ago. So happy to finally have it. The build quality is excellent, the spectrum battery meter sits perfectly flush and does exactly as advertised, the beam is beautiful and damn is it bright! I love the balance of the light, and the heat sink seems to be doing its job very well. The only other big lights I have to put it up against are a TK30 and a Maelstrom S18. It is brighter and throws further than the TK30 and has a tighter beam than the S18 (although, the S18 beats out the 1000 Lumen Mag build, you can understand that though, since it is a heavily driven SST-90 in a HUUUGE body) Overall, the Mag is definately better in the hand, and since it looks stock (even if you look in the business end, it the untrained eye couldn't tell it apart from a stock MagLED) it is a real sleeper too! ... I can't wait to get this outside, since its only 5pm, I can't really enjoy this light just yet. I recieved my 3D with voltage monitor and 1D stubby lights three days ago. I haven't had much time to play with them yet, but I did get to check them out outside in the dark for several minutes. I really like the way Jay performs the work on these mods. Everything is very neat and tidy with a factory appearance. Anyone who has read the entire thread may notice I already had a 2D with Voltage monitor built by Jay. I really liked it, and it is our primary light for use around the house. Since it stays there, I decided to get the 3D made to use for work, and get the stubby to carry in a pocket, or use outdoors whenever I need something easy to carry around (not quite small enough for edc!!! LOL). It easily and securely fits in the back pocket of my jeans for when I think I may need something bigger than the AAA light on my keychain. The 3D uses the standard Mag Charger 6V battery pack, and I have an external charger for the battery. I like this light because the NiMH battery pack is safer than Li-Ion batteries and I've always thought the 3D Mag is the perfect size for a "real" light. (it was the first light I ever bought with my "own money" back when I was 11 or 12, and getting ready for summer camp. This mod takes it to a whole new level of usefulness, and the voltage monitor is just cool to have IMO. Comparing the stubby to the 3D, I can tell you that in practical use, there is virtually no difference in brightness or intensity. All three of my Jayrob lights are winners! If you're even thinking about having Jay build a light for you, just do it. He stands behind his work, but they're pretty much bomb proof anyways. You can't beat the feel and ruggedness of the Maglites, but their incan and led stock bulbs leave alot to be desired. The XM-L mod gives you the best of both worlds. One more thing, to add. In two of the three Jayrob mods I have, I'm using an aluminum orange-peel reflector fro Kai Domain. These give you a really nice beam, with a smooth transition from the hot spot to the spill, and what you lose in throw is very minimal. I am difinitely a satisfied customer, and I'm sure I'll still have these lights the day I die. Finally, I also want to point out that Jay is really good about keeping communication with his customers throughout the entire process of planning and building the light. He answered all my questions with-in a few hours usually, and none went unanswered for longer than a day. You just don't get customer service like that too many places these days! 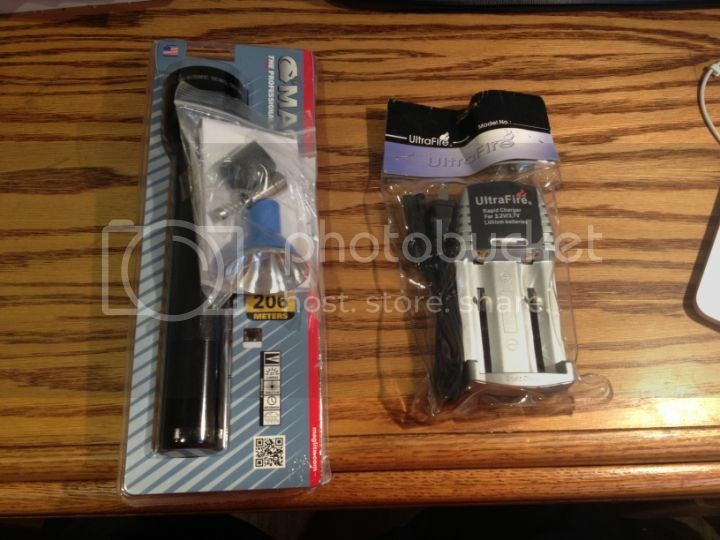 I received my 2D Maglite with 32650's, UCL lens, and battery monitor from jayrob earlier this week. It is now my primary light at work. As a police officer, this light is pretty much perfect for my needs. Bright as hell, just big and heavy enough to work as an emergency impact weapon, and not an overly complicated user interface. Most of my partners carry stock Streamlight Ultrastingers and they all chuckled when they saw the ol' Maglite at briefing....until they saw it in action! This thing is a hand cannon, plain and simple. I'll be happy to report on the long-term reliability as I use it more. ... When my wife lets me, I will definitely be buying a stubby, or at least another 2xD setup... they are fantastic! Thought it was also worth mentioning that when I got the flashlight, it was actually back in its orginal wrapping and he had also sent all the extra pieces in a baggie, it was a nice touch b/c it makes it feel like you are unwrapping it for the first time. Overall the flashlight is GREAT, the videos don't do this thing justice until you take it out in the back woods to use it like I did. The job is very detailed and clean, you can't even tell that there is after market work done. If your on the fence about getting it, JUST BUY! If your trying to decide, TRUST ME it's worth the money. And working with him was a pleasure as well, easy going and quick on answering questions, over and over again lol. Thanks for the speedy turnaround on the (3) M@glites I sent you for modding (1 x 6 "c" cell, 2 x 3 "d" cell), all running NiMh cells. As with the M@gCharger you did for me a few months ago, These lights look and work perfect! the process. He even topped off my shipment with a "free" surprise gift ! My 3D size, 3 mode version arrived last week and instantly became my favorite patrol duty flashlight. It's almost as bright as the spotlights, which is why the medium and low modes are a must. Run time is excellent! I work the graveyard shift, four days a week, and didn't need to charge it until I got a day off. I've already dropped it a few times and it still works so I know it's plenty durable too. I have a Melles G aspherical lens I'm gonna try on it. If it works out, I'll post some pics. Jay, THANK YOU for my awesome build! It is so solid.. i was concerned about the shape of the beam, knowing how ugly the stock beam is with the stock bulb/reflector. But With the XML in there is actually works! I can focus the rebel reflector right down to a nice tight spot or widen it up a bit for a broader beam, without getting all those hideous & strange swirlies the stock incan/reflector generate when you try to widen the beam! And thansk again for going out of your way to get just the CCT I was hoping for even though you didn't have it on hand. Top notch service bro... If anybody is looking for a practical, yet powerful Maglite monster, this is it! I'm running mine off 3 NiMH D cells, and it outthrows my TK35! Cheers. So I have had this light for a couple of weeks now, and with normal use, have yet to either charge the batteries, or see the battery indicator go down at all. In the first post i believe Jay said the batteries last 4 hours on high, and I have a hard time believing that. I turn this thing on ever day and have even used it as my soul source of light in my house at night just because I can. It is also extremely durable. I have dropped it a few times and it has been fine. Today I brought it over to a retail store that sells high end, "sure fire" flashlights that had a couple hundred lumen and cost about $160. There was no comparison. Jays light on level 1 was as bright as their $70 flashlight, on 2 was as bright as, if not a little brighter then their $160 flashlight, and at level 3, it outshown every single model they had, combined. And durable. Everything about this construction shows durability and strength. I am looking forward to having this light a long, long time. Jay, your craftsmanship is superb. Just received a 2 x 32650 build this afternoon and I have to say that the workmanship and quality are truly exceptional. The output and beam pattern are awe inspiring to say the least. I'm not going to say what a difference it makes from the stock maglite because it's an absurd comparison. I am very happy and this will be a vehicle EDC type light. I have a roll bar holder for it on my jeep. Only thing I need to find now are replacement primaries that would be suitable should the Li ions die on me. I've got some double C lithium primaries in my GHB for my Lumapower Mentor light but some D sized primaries would be great, even if they could only provide 1 amp of continuous current. Anyways, I digress. This is going to be one of my favorite lights, especially during camping season! Thanks again and I think there will be more builds of this type with a little variation on battery configuration. Just received my light yesterday and was chomping at the bit for it to get dark so I could go and check it out. Got a call just before supper to go and load a water truck that was freezing in muskeg roads when the transmission went out. Grabbed the light and packed a lunch, and headed off to work for an all-nighter. I'm not sure if anyone that has purchased one of these rigs has used it in an all white snow covered environment, but I'm here to tell you it is incredible! It lights up everything with the reflection on the snow, the driver of the water truck was amazed how bright it was (as was I). It was -24c last night and it laid in the snow on my lowbed to light up the underside of the disabled water truck so I could secure it to the deck once loaded and never missed a beat. The durability test will be to see how long it survives in my work environment of -40 temperatures and being exposed to road salt and snow until our winter season is over. Thanks Jayrob, amazing cratsmanship in a totally functional light that has so far exceeded my expectations. JayRob Rocks!! I just got my "Stubby" today, modified 2D MagLite cut down to a single cell for a 32650 Li-ion and his own heatsink with Cree XM-L T6 emitter. This little bad boy is amazing!! Excellent work on the cutting down, the light has 3 modes...low that is like a "regular" light...med that reminds me very much of a Malkoff P60...high that blows away my trucks high beams and the P7 mod that I did myself to another MagLite. Great work Jay, thank you very much! Folks, this guy is not only an excellent machinist, he put up with me!! And was courteous and quick to answer my endless questions. Comparison pics to follow, with a stock MagLite LED using their new Cree emitter, my own mod with the P7 and Jay's recommended voltage monitor, and the new Stubby. Remember when looking at these that although the Stubby is quite a bit more powerful than the P7 mod, it's running on only 1 32650 instead of the 2 the P7 has!! Excellent efficiency! The driver works equally well and is very easy to switch between the modes. I now have the Perfect flashlight! The tree that's lit up is 194 yards away, don't know if you'll notice, but the trees in the background are illumated with SPILL at 536 yards from the light!! Fantastic job Jay, Thank You! Received my 2D mag mod from jayrob today and I have to say wow. What else can I say? It blows all my other lights out of the water. I can't be any happier or have received any better service from jayrob. He Is very professional all the way around, from the build to the sale/messages. Definitely a pleasure doing business with him! Originally Posted by Nick W.
Jay - the light is AMAZING!!! Even better than I could have imagined! And the blue o-ring is killer! The boys and I were BLOWN AWAY last night when we illuminated the hill behind our house like daylight that is 300 yards away!! I wanted to give an update. I bought my light from jayrob about 4 months ago. I've used this as my primary work light (as a police officer) every day since. It has held up to foot pursuits, being dropped in the gutter, building searches, crime scene canvassing, etc. It easily outperforms my co-workers' Streamlight Ultrastingers. I've been having to charge the 32650's every 2-4 weeks, depending on how much use it sees. Overall, I can't find a work light that even comes close to this thing. The simple three-setting interface is perfect. The build quality is awesome. I have had ZERO malfunctions. Thanks again jayrob! ...i really like the build..throw is great and i get to the lithiums 26650 as suggested by Jayrob or 6AAs in a battery carrier..haven't tested the light on alkalines yet but it should at least work on the low modes making it a good emergency light when only AA batts are available..oh and Jay is a great guy to deal with..everything went smoothly without hiccups..highly recommended person & simple product..! I just got my 6D Mag from Jay with a Der Wichtel Triple XML drop-in powered by 5 Feilong 32650 cells. He also machined a aluminum spacer that fits perfectly because the 5 32650 cells are shorter than 6 D-cells. Jay modded the switch to be momentary to use DW's multi mode driver. The light is super bright and is more of a flood than a thrower, which is useful. I should mention these batteries are great, and a great alternative to get that extra bit of capacity for long run times. Jay's work is one of the best I have seen. His attention to detail from keeping me posted on every step of the build, to the SUPER well packed package, can be seen in every aspect of the light. He left me very detailed instructions on anything he observed on the light, such as how the driver worked and making sure the spacer is the last to go in the light after the batteries. Much thanks for the 5D XML build for NiMH cells! Really nice workmanship and there is a great balance of hotspot to wash. Once I got some freshly charged D cells in there, the voltage monitor works like a charm as well. Thanks again, and I'll probably throw more business your way soon! I received my light in the mail a couple days ago and WOW is all I can say! I opted for the stubby with the tailcap bored to make it even shorter and the size is perfect. It is small enough to fit in the center console of my car and it really does pack a punch. I havent been able to fully test its range because it lights up every tree visible in my neighborhood. The worksmanship is great, the light looks like it came that way from the factory. Thanks again Jay! I was pleasantly surprised as to how much usable spill this thing puts out as well. Honestly this seems to have both throw and a good balance of short to midrange spill... Couple that with the high run times and I dare to say this is my most functional light. I am very interested to put this up against my crelant 7g5v2 since that light also has the same emitter and seems to have a great balance of throw and spill in one package. All in all a great build and instantly a favorite of mine among my collection of 20 plus lights. Thanks jay!!! to all looking to get this light... Don't hesitate. Jay is a great guy, responds super fast to emails and ships quick. His feedback speaks for itself. I received my 2 D maglight build the other day. What a incredible professional build! No one could ever guess this is a custom build. I will enjoy for years to come. I got my XM-L Maglite build with rebel reflector and 2 Feilong cells yesterday. The first thing I noticed when I turn it on during the day is that it is incredibly bright and the throw is fantastic. After seeing this I couldn't wait to take it out at night. I took it to the park and beach at 10pm (didn't want to irritate anyone with this extremely bright light). IT IS AMAZING! It surpassed all my expectations. It lit up the beach for > 350m. I ran it on high for 20 minutes continuously and it didn't get more than warm. It lit up trees like it was day time. As for battery life, I was out in the park for over an hour and when I got home the batteries only measured 4.01 from 4.14 volts. A drop of 0.13 volts. To sum it up, this light is an amazing all rounder with excellent brightness and throw and the best battery life I have come across. I recieved my complete 2D maglite build with voltage monitor a couple of days ago it is incredible. Definetly worth it build and quality are top notch. The amount of light and throw this thing puts out is sick. just got my light today and am very impressed. 1st, jayrob's turnaround time was dead accurate, 10 days and I got my shipping notification. upon opening the box I noticed all the old parts were included in a baggie, not that i will ever use them but it's the little things that count. next was the m*glite, it was perfect. powered it up to do a function check and everything is good to go. I especially like the voltage monitor, I have yet to test it out as it is still daylight but will edit my post once I get a chance to check it out further. I can say so far this deal has been flawless and would highly recommend picking one of these up if you are thinking about it. **edit, its now dark enough for me to check it out and just like I thought... it is awesome!! i love the 3 modes, and being able to adjust the beam from throw to more floody. perfect amount of spill that lights up your surroundings and enough throw to see what's out there. I also ordered the 26650 sleeve and that works like a charm as well, all around great light that will serve me well for many years to come. Last week I received the lights which I commissioned JayRob to build for me: one XML-U2 1000-lumen 3D NiMH MagLite with the 3-mode driver and LED reflector; and two stock 2D incandescent MagLites shortened to 1D length per my specifications (for an experimental 1D NiMH/LED build of my own). These lights are beautiful. The only clue the 3D has been modified is a look inside the business end - if one knows for what to look! The 1D lights likewise are flawlessly done, and look completely "stock" (if there were a stock 1D). First, the XML-U2. This is One Awesome – and Practical - Light!!! I loaded a charged set of three Imedion 9.5 ampere-hour NiMH cells and took it outside Saturday night for a test run. Conditions were overcast, dark, and on the verge of being foggy, which inhibited comparisons at ranges beyond about 150 meters. I compared performance side-by-side with my previous “Go-To" light for outdoor work - the stock Mag 3D 131-lumen LED (which is a pretty good stock light) also loaded with a charged set of three Imedion 9.5 ampere-hour NiMH cells – so that I was comparing identically powered lights. Compared to the stock light, the JayRob light on high setting threw a brighter spot slightly over twice the diameter on a stand of trees at 150 meters across a cornfield. Held parallel to the ground, it lit the field like an auto headlight. The light seemed a little whiter - probably the difference in "binning" of the LEDs. Best of all: those three settings, which are well-proportioned so that the user can select the right amount of light for the situation. Medium setting is great for mid-range work. The low-setting is perfect for close work in darkness, or a long hike through the woods at night with dark-adjusted eyes: ample without being blinding. JayRob did not publish a lumen rating for the low setting (that I could find in this thread); so, using an Amprobe LM200-LED light meter and comparing lux readings of the three settings, I estimate the low setting at about 50 lumens. With careful use of power, this light will go a long time on a set of charged NiMH cells. In his original post, JayRob promised a “serious user build”, and that is exactly what he delivers – with serious craftsmanship. About those stubbies: Very nice! The shortened light is highly ergonomic - well balanced in the hand with a NiMH D cell loaded. Taking out 72 mm length makes a bigger difference in the handling and convenience than I expected. Makes me think again about ordering JayRob’s 1000-lumen 32650 build! (when my flashlight budget recharges! ). the lights arrived, and are great! tested them out last night, great runtime and nice and bright. looking forward to giving them a true test at work tomorrow. thanks for the great work. Received the mag mod today! I am very happy with it. The t5 3c emitter is nice. This might even replace my current big duty light (v2 catapult). The mag has a slightly tighter hot spot, and a bit less spill, but you can't beat the heft of a mag for police work. Thanks for your service. Delighted with JayRob’s 3D NiMH XML-U2 MagLite build, I commissioned him to build me a pair of 1D NiMH XML-U3 MagLites. Yes, 1D NiMH! Here is how this build came to be. While investigating drivers for a possible UV build, we found a single-cell 3-mode driver designed for the Cree XPG LED. I suggested this would make a great 3-mode 1D MagLite. JayRob pointed out that the driver also would drive the highly efficient Cree XML LED, and suggested I try the new XML-U3. 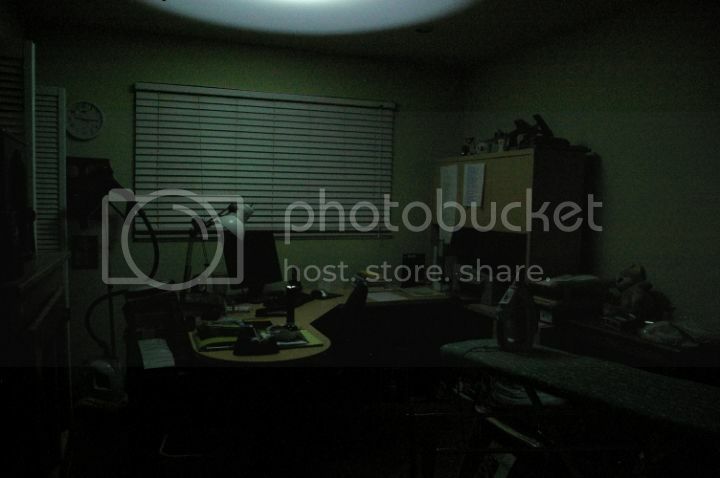 For hosts, I sent him a pair of recently-purchased 2D incandescent MagLites. I am glad I agreed with his suggestion. I evaluated the finished lights, loaded with freshly charged Maha Imedion D NiMH cells rated at 9.5 ampere-hours, outside at night with conditions dark, again overcast, and very thin fog or mist. I turned the first light on high setting (about 480 lumens, based on emitter current), shined it across a cornfield, and saw green eyes looking back at me from the edge of the woods. Those eyes turned out to be attached to a coyote. Startled by the light, he headed west out of the woods, across the field, did not like my new XML-U3 light tracking him, turned northwest away from me, and high-tailed it back into the woods. Range: about 200 meters at his closest approach; about 300 when I lost sight of him over a rise in the field. Tracking a “real” target under non-ideal conditions showed me how good these lights really are. Medium setting is about 190 lumens, good for intermediate-range work and a good spot of light on trees at 100 meters. Low, about 16 lumens, is good both for close work, and when working with dark-adjusted eyes. Estimated runtimes based on the Imedion D-cell discharge curves: 2.8 hours on high; 4.5 hours on medium; and 16 hours on low. The calculated driver efficiency (calculated here as emitter power / tail-cap power) is almost 90% on high setting, which is good considering the driver is operating in boost mode. Medium- and low-setting efficiencies are less, but still deliver good runtimes. The color temperature produced by the U3 LEDs matches the 3DNiMH 1000-lumen build - a bright white light with no trace of blue. 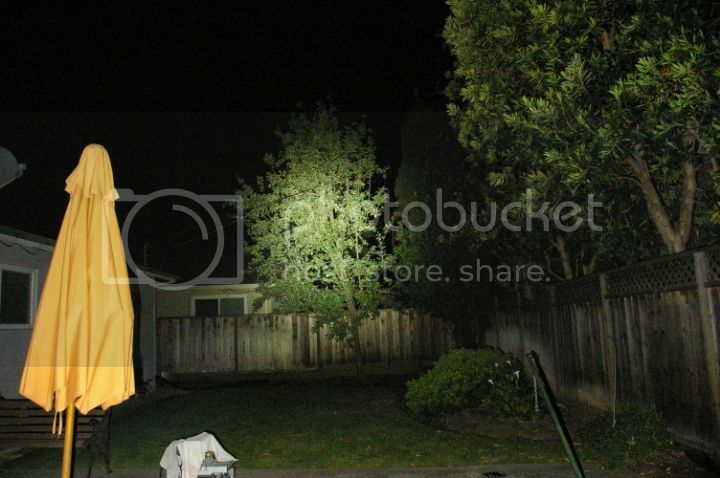 The spot size produced by these lights with the standard incandescent reflector at 150 meters is about the same as the 3DNiMH 1000-lumen build with MagLite LED reflector. With the large die sizes of the XML series LEDs, I find that the LED reflector does not reduce the spot size noticeably compared to the standard incandescent reflector – something to keep in mind when considering the extra cost of the MagLite LED host and the work to reduce the size of the LED board to fit the LED reflector. With experience, I find that for "real" work, it is nice to have the broader spot at tight focus. With so many lumens on-tap, it is not necessary to have a small spot in order to get great throw. With this 1D NiMH XML-U3 light, I can put a visible spot on a stand of trees at 300+ meters. 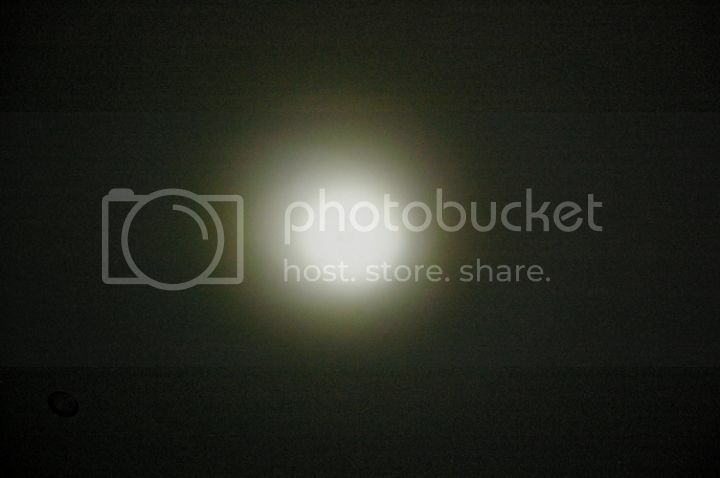 Not as bright as the 1000-lumen light, of course; but still very usable. As before, these lights are standard JayRob craftsmanship: superbly done. 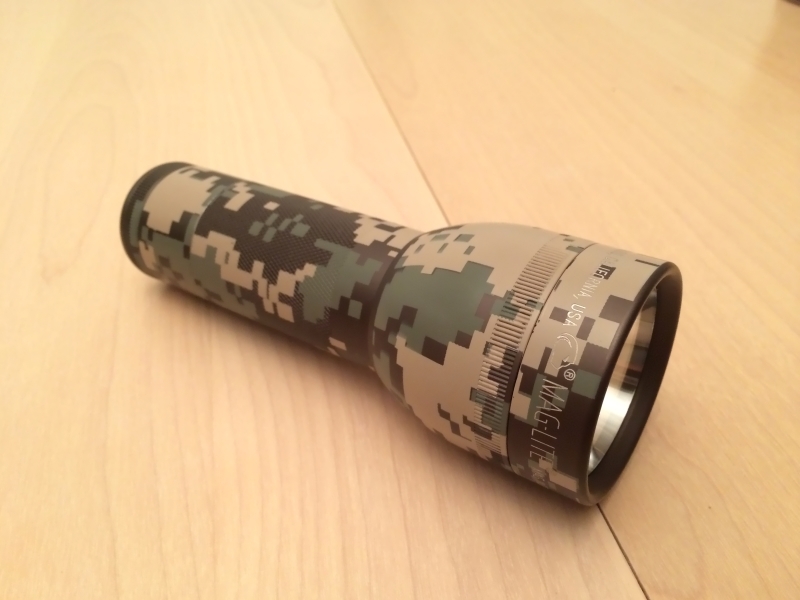 Bottom Line: This build is another practical 500-lumen class flashlight on a compact stubby MagLite platform running on one D-sized NiMH. hey jay. This is the most efficient / useful flashlight in the world. Exactly as you promised. ...My Maglite Snubby w Battery Monitor & UCL Glass is a piece of working mans tool art. 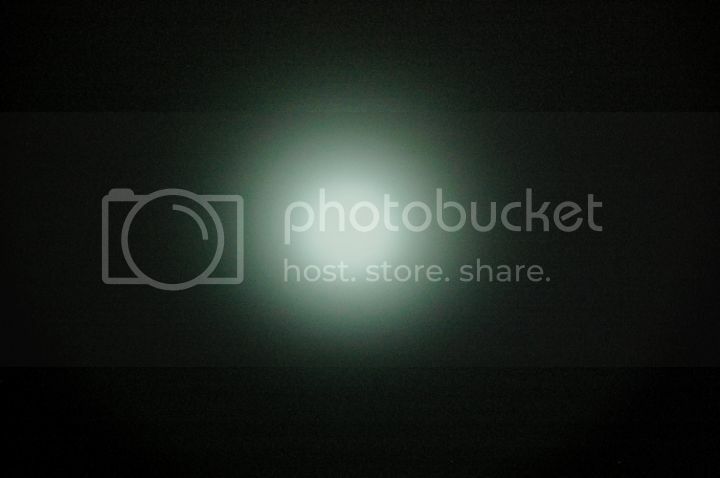 I used it on a recent outdoors trip & on low light mode it stayed on for over 35 hrs straight & the Maglite host never even got warm to the touch !. It stayed blue on the battery indicator the whole time !! Super efficient !! The only regret I have is that I didn't get the direct plug in battery recharge option. My error. The battery indicator is part of a flashlight that I will always include in my future shopping lists of important things that a great flashlight should have. Just wanted to stop in here, and leave a little feedback for Jay. I just received my custom XML2 Mag Shorty this afternoon, and I'm stunned. It is beyond words how great this thing is. Awhile back, I contacted Jay about a custom build I wanted done, and he was more than willing to work with me. I wanted something a little different than a solid color. I found a 3D digital camo mag, at my local supermarket, and new it was the one. He said send it over, and he'd cut it down, get it all 'souped up'!! He wasn't joking. He put a BEAUTIFUL XML2 T6 3A on copper in it, and fed it roughly ~4amps of juice . Needless to say, this guy's a shiner now. Despite not being able to put it down all day today, I managed to snap a few pics for you all. (I will post the first pic, click this link for the full album!) The first few pics are of the Mag shorty, then a couple beam shots. The first beam shot is a factory 2D XPG Maglite. I don't need to say it, but the second beam shot, is this MONSTER! That woods line is over 100M away!! WHOA! Overall, I am extremely satisfied with the work Jay has done, and would recommend him to anyone. I received my shorty today. Beautiful workmanship and excellent throw. Been shining it into my back yard and it throws a nice tight circle. Jay does excellent work, I highly recommend buying one of his Mag Shorties. It will light up your life. Got my MT-G2 Mag Mod from Jayrob last week and am very happy! The light works great and met all my expectations. Communication with Jayrob was quick and he was very patient answering my questions, even when I changed my order a couple times. I would definitely do business with him again! The light came well packaged in it's original packaging. All stock mag parts were included and came with a sheet explaining the features and instructions. The light worked great out of the box. The two 32650's were equally charged and the voltage monitor works beautifully and sits flush with the Maglite body. On high the light gets warm but not too hot after 10-15 minutes. On medium and low the light remains cool through the entire runtime. I haven't been able to test the full runtimes of each mode, but the battery drain rate seems to be on par with the runtime data in Jayrob's first post. This Mag puts out a wall of light! I work in EMS and find that floodier lights are much more useful for my job, and I usually utilize my lights for short to medium distances. But even with the huge floody emitter, the sheer power of the MT-G2 puts out decent throw with the smooth aluminum reflector. It is a powerhouse in an inconspicuous package. My other light is a Fenix TK45 so I was able to compare the two. The TK45 is rated at 760 lumens. The MT-G2 is estimated to put out over 2000 lumens at 3 amps. You can see the ability of the MT-G2 to light up a room much better than the TK45 and with a much more neutral tint. These are my first light comparison shots. Both photos were taken at f8 1/45 for comparison's sake which doesn't quite give justice to the sheer amount of light either one puts out. Both MT-G2 and TK45 have floodier beam profiles. While the MT-G2 retains the ability to fine focus the beam, it is still relatively floody, and the spill is able to light up the immediate area very well. And these last two shots show the tint. The neutral tint of the MT-G2 is great. Both shots taken on auto setting. White wall was 5 feet away. Overall I'm very happy with this Mod. If you're contemplating buying one you can be confident Jayrob will do good work! No photos today, but this light delivers. I asked Jayrob to go 4 amps on it for a variety of reasons that included how far Vinh was pushing his MT-G2 mods. So I'm halfway between the standard 3 amp driver and the max 5 amp that this driver will deliver. I have an XM-L Mag from Jayrob, I had Craig at Illumination Supply send a neutral (Cree XM-L, 14mm Round MCPCB, T5, 3C (5000K) tint ) XM-L to Jayrob because I'm a tint snob and the light does bedroom duty for power failures. Still hasn't been charged, still shows full charge on the voltage display. Both lights have a smooth aluminum reflector (I also added SS bezels & lanyard rings). Note this was in May 2011 that I ordered the original Mag from Jayrob so it is the XM-L above, not a XM-L2. The hotspot of the MT-G2 is ~3 times the diameter of the XM-L, and to me the MT-G2 is better filled in than the XM-L.
SPILL - Man, the spill from the MT-G2 is INCREDIBLE. While the XM-L has spill that quickly tapers off in brightness the MT-G2 has BRIGHT spill - much more useful. My choice between them - hands down is the MT-G2. Having had a MT-G2 in a few other lights (&P60 drop-ins) I knew I had to get one in a solid Jayrob build. The reflector in the MAG gives reasonable throw from the HUGE MT-G2, but the light it gives is WILD. Jay's estimation of runtime on high is just over 1.5 hours or about 5 hours on medium. I haven't run it long on high so I don't know how hot it will get / how long it would be practical to run, but on medium I'm comfortable saying I would run it for the 5 hours straight. Highly recommended. I'll try to get some comparison shots next weekend. My jayrob 3 Amp MT G2 rocks, So I sent Jay a 5 Amp DW driver I had collecting dust. I am still looking for words to describe her (Black 3 cell jayrob M@G MT G2 at 5 Amps). I expected a good increase in output, but nothing like this, she blows away the 3 Amp. I sent my XM-L mod in for repairs (turns out it was just a bad battery) and figured I'd save on shipping, so I had Jay throw a 4-amp MT-G2 in the box as well! I just received them both yesterday. I never had any complaints about my XM-L prior; it has served well as my primary light in police work for about 2 years. This thing....it is just ridiculous. The XM-L is a very focused, cool-colored beam with a nice spill. This build is a portable sun with a warm tint, a HUGE beam that is unbelievably bright, and additional spill where the beam doesn't hit. The LED and board have comic-book proportions. You can feel instant heat out the front on high. The three brightnesses are exactly where I need them. I'll be taking it out tonight for its first shift. I'll report back but I expect a lot of dropped jaws from my co-workers and a lot of dirtbags seeing spots. I went with a red host, the 5-amp option, Spectrum voltage monitor, batteries, charger, the whole shebang. I somewhat regret the red host choice and if I could go back and do it again I'd go with silver, but that's entirely my fault :P Just an excuse to buy or build another mag somewhere down the road! This thing pumps out an absolutely absurd amount of light. Medium is more than powerful enough for the vast majority of purposes, which is not hugely surprising, and I suspect I don't really want to run high for more than a few minutes at a time due to heat dissipation anyway - but when you DO click it up to high, it is just... wow. If you've been on the fence about getting one of these, hop down off it and pull the trigger - you will not be disappointed. I received my 2D cell 5 amp lite with the voltage monitor option 2 days ago, and I can't even begin to tell you about the smile it brought to my face! First off let me tell you that if you are considering dropping some decent coin a lite, fear not, Jayrob is as professional as it comes. His work is top notch and it reflects in the amazing fit and finish of this lite. I work a third shift and I have spent over a thousand dollars on flashlights and have been repeatedly disappointed by commercial lights. This Modded Maggy has a stunning wall of light in medium and high! The lowest setting is perfect for up close work so as not to be completely blinded. This is my new go to light when the night falls.. Great work Jayrob! I know I bought the "chicken setup" of 3 amps, copper heatsink, protected cells, voltage monitor (ie: the safest, most "boring" configuration if we look at some of the light monsters on here). But I just wanted to thank you for an absolutely top-shelf flashlight build. Even at 3 Amps, the amount of light this light throws is blinding (and that's using the light in the same way a person would while walking the dogs). It's nearly as bright as the three LEDs combined in my room that normally light up my room. I haven't done any "led snobbery" testing, but the amount of light this throws is just incredible. I'm just in awe over everything. The best part is, is that it's reliable. I'm not terribly keen on some of the 6 amp, 9 amp, MT-G2 builds, and this is that bridge from a simple drop-in Malkoff to more extreme builds. I'm gonna put up some early shots of it... they're not great (I don't own a smartphone), but that LED is HUGE! Feel free to put this in your "feedback" section. Professional, top-shelf, incredible quality. Last edited by jayrob; 06-15-2016 at 11:50 PM. Lost several pages of good conversation on this build with the CPF crash, but looking to start this thread a new! Let me know when your ready! It's great to see what some folks are capable of doing with some tools, gumption and a few dollars invested. Nice work! I recently picked up a low-voltage custom 2D Mag running an XM-L chip on 2xD/NiMH cells from Kevin at LambdaLights. Its beam approximates what you show above, though somewhat less intense. The digicam's on the fritz, else I would post a thread with some beam shots. I just ordered a bunch of 26650's for some bike lighting projects, and I always order a few too many cells.....see where I'm going with this? I may be interested in one of these puppies in the very near future. But I am in the middle of paying for my up coming wedding. I will have to see how much more $$ I need to spend over the next few weeks. I have some nice fiberglass sleeve material for it too! For using only 2 NiMH's, I tried this driver for a customer who wanted to pump up a Fulton light. I also used this aluminum reflector for it. And it turned out very nice. But of course not 1000 lumens with only 2 X NiMH's. Still about 300 lumens though. Which is great for a Fulton! I have a 3 X NiMH 1000 lumen build in a 3D Mag that is using the 5 mode driver shown for the 'Stubby' version in the first post. And it is perfect! Thanks so much for posting back with comments! Really glad you guys like the builds! Also, the C tube will need to be bored out a little for fitting 26650's. Which is not a problem. But there are 25500's at DX, which will fit a C Mag with no modification! Unfortunately I purchased the wrong 32600 batteries that are only 3.0v so the battery meter constantly flashes red. I tried ordering 32600's from Kaidomain on Jan 31, 2011 and still have not received anything. I have a dispute open with Paypal to get my money back. Do you know of any other place I can get two 32600's with the 3.7v and 5000mah? Did they send you an e-mail notification that they have been shipped? Usually, it's about 2 weeks after you get that notification. For something temporary, you can use a 3/4" piece of PVC pipe. Which is a perfect size sleeve for fitting 18650's. You can just wrap tape on the ends of the sleeve to fit your Mag barrel. They are 3900 mah which is a little smaller than you wanted, but they are only $15 a piece, they will be to your door in 3 days with free shipping and best of all they are protected! Very nice build with interesting features! But it can't be a "Stubby" if it has a Mag switch - gotta have a clicky switch in the tail. Ha ha! Nothings going to 'out stubby' that thing! It's hard to give up that nice heavy duty Mag side button though. It being a 'forward clicky' is a plus too! Makes for easy mode switching before clicking on. Mohammed, please do! thats the setup I have interest in!! I got a shipping notification from Kaidomain the day after my order, then another ship date of Feb 13, and now a third ship date of March 10. I did a search for Kaidomain and the reviews are not at all good. I wish there was another source for these 3.7v 32600's. I will have to consider that if I don't get my 32600's. I will unfortunately have to ship my tailcap/spring back to Jayrob to have the mod done and also I will need the fiberglass sleeve. DTR (a friend in the U.S.), is possibly going to stock 32650's. (hopefully this will happen soon) This would be great. Because they would not only be readily available, but they would be cheaper than getting them from Flydragon. Because the shipping from Flydragon is expensive. He's trying to work out a bulk order to save on shipping. Then the savings get passed on to us! So I'll be posting here, and also updating the first post, if and when those become available in the U.S.
About Kaidomain. They have been pretty good for me. I place a lot of orders with them. It's just having to wait is all. I think what happened to you, is the timing. The Chinese New Year is like a 2 week long celebration. (or maybe longer) And everthing closes down. And the tail cap mod will still work with the 32600's, just remove the sleeve. Here is a bad picture to show what this XM-L mod is capable of. The beam is shining on a house about 800 feet from me according to Google Earth. Sorry the 2nd picture is blurry, it was cold out that night!! If the world is coming to an end and we have to depend on our dogs and our guns to protect us, I hope my tanker is full of gas so I can trade it for some really cool flashlights! Those pictures show the throw well! Also shows the nice flood. Please post back and let me know how you like it! Jayrob, I'd be interested in the complete light that can use the 3 "D" cells. Didn't see a price mentioned for that when you brought it up in your discussion about the stubby. Any idea what the est lumens and runtimes would be on a 3 "D" cell setup?